How do I Clean up a Blood Spill? Home ⁄ Articles & Posts ⁄ How do I Clean up a Blood Spill? This one is easy but it’s kind of hard….universal precautions are essential when it comes to any bodily fluid spill. What are universal precautions you ask? Follow the link at the bottom to reach what I feel is one of the best explanations, but gloves, goggles, face mask and common sense for short. I was watching TV last night on the first episode of a new medical drama that dealt with a potential case of the Ebola virus. Ebola, although not an airborne virus, is highly infectious and risky even when it isn’t real on TV. Use your head when it comes to blood spills. Consider isolation first, prevent the public from getting within at least 10 meters of the affected area, preferably further. 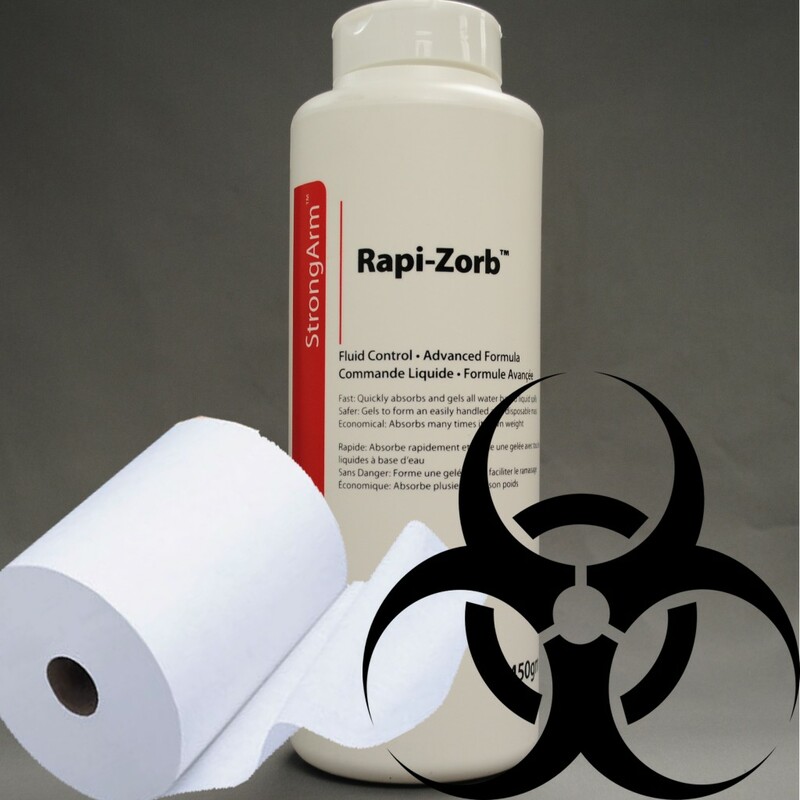 Absorbent application and preparation of all materials required should be prepared in advance of any such incident. If you are in a public facility, consider preparing a bodily fluid spill kit. The items contained in such a spill kit will help staff to prepare themselves with a quick outline of process for bodily fluid spills. This includes urine, feces, vomit, blood and a few others. Apply absorbent pads or powder to the spill. Do not attempt to clean up the fluid if you have not absorbed 100%. Remove the absorbent and the fluid from the surface. If it is a porous surface, consider involving a professional. Package up the waste and isolate it. Apply hospital grade disinfectant to the surface and allow ample dwell time. Remove the residue and re-apply disinfectant. At this point it is likely safer to begin deeper cleaning. After you are satisfied that the entire area is free of the bodily fluid apply a final application for disinfectant. This is an over simplified process and not recommended for use if you have not done ample research on the process. Although at this moment in time there is not a national standard in Canada for infection control, these steps will help to make things a bit safer.